We are a contemporary Anglican Church in the eastern suburbs of Melbourne. Our mission is to help people become mature followers of Jesus Christ. St Luke’s is a God-focused and Jesus-centred Anglican Church. We believe that Jesus' timeless teachings passed on in the power of the Holy Spirit are able to bring transformation in our lives. We desire to see our community and city transformed by the Gospel of Jesus Christ and to play our part in taking the good news of Jesus to the nations. We seek to model the love of Jesus and we hope to be an authentic Christian community. 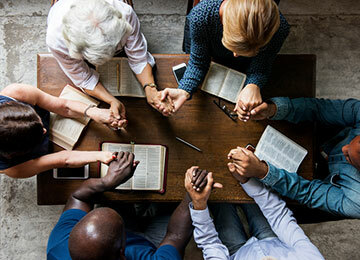 We are a community of believers called by God who pray together, listen to God’s word and love to share our faith and lives with others and we believe that you have a special place in God’s family. We meet together at 9.30am on Sundays for corporate worship which includes our children’s and youth programs. We are conveniently located on the corner of Mitcham & Canterbury Roads, Vermont. We at St Luke’s value children and the incredible privilege it is to nurture, care for and support them and their families. We seek to show God’s love and goodness in all its fullness. Caring for each other is a part of everyone’s role in a Christian community. We offer assistance from our Pastor, help through prayer, and support local & international Missions. At St Luke's we run a variety of courses and life groups for people who wish to grow their faith alongside others. These are typically mid-week and accompany the Sunday Service.